HONG KONG - Did actress Cecilia Cheung bar her former mother-in-law Deborah Li from visiting her sons? Last Saturday, in an interview at the Cannes Film Festival, producer Tiffany Chen caused an uproar when she said Li had complained to her about being denied access to her grandsons, reported Apple Daily. On Monday, Cheung's manager hit back at Chen by sharing on Weibo photos of Li with the boys, Lucas and Quintus. The mystery only deepened, however, when Li confirmed that she had attended a recent celebration of Quintus' 6th birthday but did not deny Chen's comments. 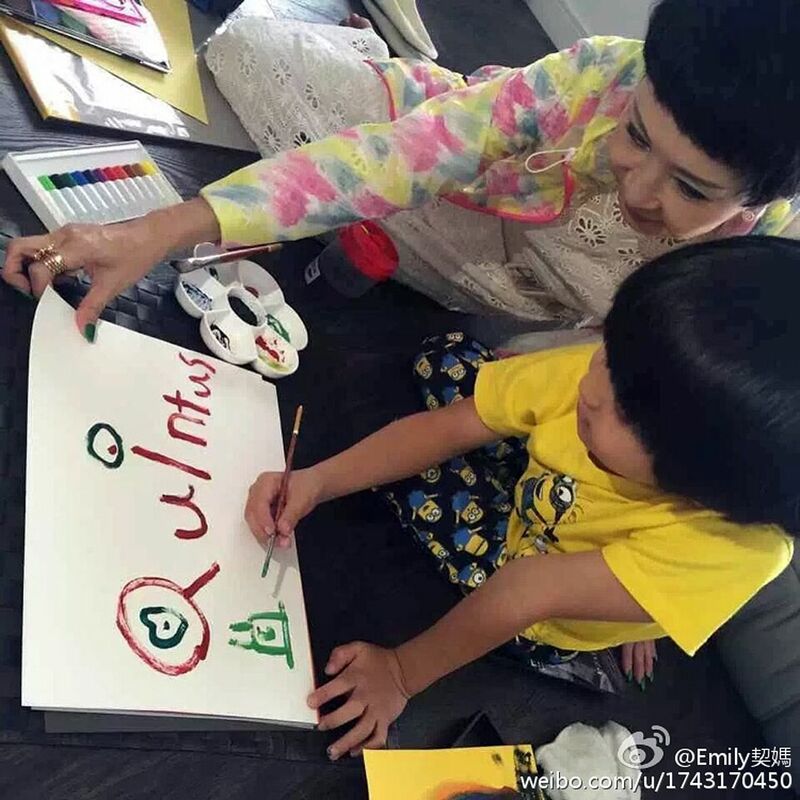 Li, mother of actor Nicholas Tse, told Apple Daily: "A few days ago I celebrated my grandson's birthday with him. Since coming back, this grandma has swooned for many days because they've really grown up." She sang the praises of her grandsons. "They know everything. We old people don't know anything. I played with the grandsons so happily. I wish him a happy birthday. They're really so polite. Their mum has taught them well. They've good table manners." She did not confirm Chen's comments, however, and instead asked the media to "spare" her. The latest episode followed a Next Magazine story last month about Quintus rejecting his father, who divorced his mother in 2012. In a joint statement, the former couple said the report was "entirely untrue". The boy turned six last Thursday (May 12). Last Saturday, his mother threw him a party, but his father and grandparents were nowhere to be found in the party photos that surfaced online. On Monday, Cheung's manager, Emily, said stories about the actress refusing to let her sons meet their father and grandparents were "intolerable", and posted the photos of Li and the boys as proof. In the pictures, the children are wearing clothing different from what they were photographed in last Saturday. Chen said of Cheung: "She's a Best Actress. She's good at putting on a show. I'm stupid. I trained an actress to blacken my name." She said Cheung probably staged Li's meeting with the boys after reading her accusations. A former champion of Cheung, Chen not only cast the actress in movies but also publicly defended her and took her side during her personal crises. In 2014, after Tse was reported to have reunited with his former girlfriend Faye Wong, Chen said Cheung was upset about her former husband neglecting their sons. Last year, Chen and her husband Charles Heung severed their relationship with Cheung, dismissing her from their film Legend Of The Gods and accusing her of unprofessional conduct. On Monday, Chen reiterated that she bumped into Li in Hong Kong last year, and that Li explained to her, "Mrs Heung, it's not that we won't see our grandsons and Nicholas won't see his sons. We can't." The producer said of the actress: "If she wants to prove that what I said is false, and as a result, Deborah and Nicholas can see the kids easily, then I've done a good thing."